Talat co-founded VentureHealth because he is passionate about improving the supply of capital for healthcare innovations, while also creating opportunities for accredited physician investors to leverage their resources and expertise. Talat has over 10 years of experience designing, architecting and scaling web apps for startups and pre-IPO companies, using cloud-based technologies, SEO, SEM and social media marketing. He has worked in the venture capital industry since 2005, when he joined The Angels’ Forum (TAF) and The Halo Fund. During his time at TAF, he managed the deal flow process and worked with tech, consumer and healthcare startups to refine their business plans and presentations. 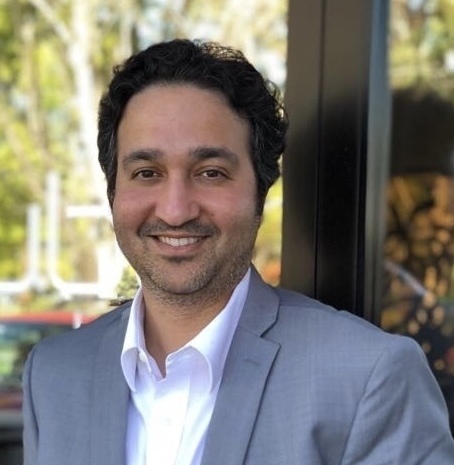 Leveraging his background in medical device software development, Talat continues to serve a similar role at InCube Ventures, evaluating early stage technologies in the healthcare sector. During his time at both TAF and InCube Ventures, Talat was struck by the challenges facing healthcare entrepreneurs in funding their vision for improving clinical outcomes. Limited access to early stage capital in the healthcare sector, compared to the tech and consumer markets, is particularly striking given the percent of the national GDP spent on healthcare-related products and services each year. A software developer by training, Talat has over 10 years of experience designing, developing and marketing web applications. He has architected, launched and scaled apps for startups and pre-IPO companies alike, using cloud-based technologies, SEO, SEM and social media marketing. Talat holds a bachelor’s degree in computer science from the University of California, Santa Cruz.